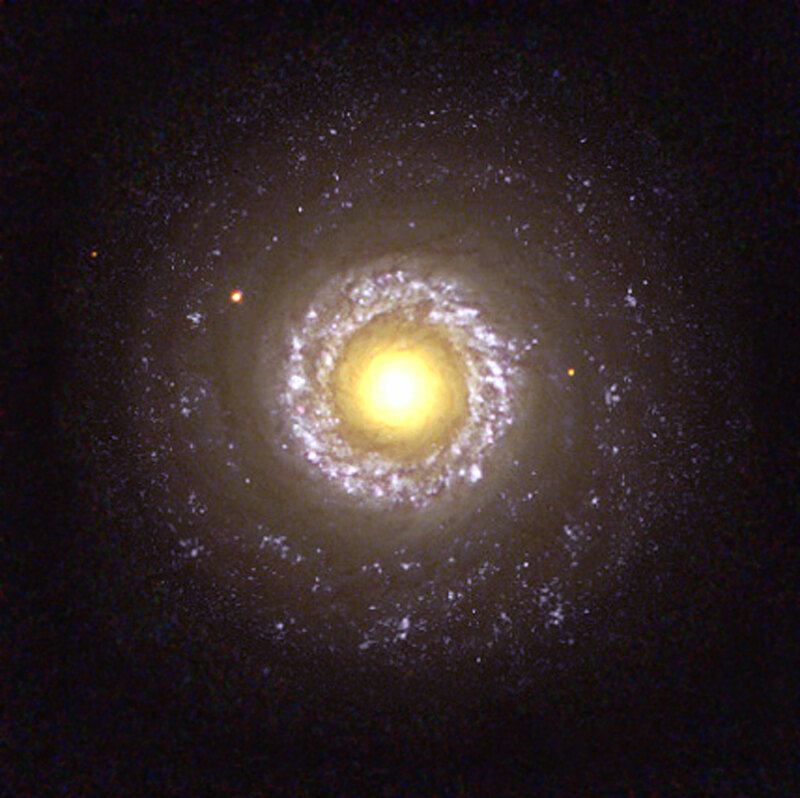 What may first appear as a sunny side up egg is actually NASA/ESA Hubble Space Telescope's face-on snapshot of the small spiral galaxy NGC 7742. But NGC 7742 is not a run-of-the-mill spiral galaxy. In fact, this spiral is known to be a Seyfert 2 active galaxy, a type of galaxy that is probably powered by a black hole residing in its core. The core of NGC 7742 is the large yellow 'yolk' in the centreof the image. The lumpy, thick ring around this core is an area of active starbirth. The ring is about 3,000 light-years from the core. Tightly wound spiral arms also are faintly visible. Surrounding the inner ring is a wispy band of material, which is probably the remains of a once very active stellar breeding ground. Position (Dec): 10° 46' 0.04"